The buffer that covers bone ends making up a joint is mostly cartilage. This smooth, strong, protective tissue can become inflamed or start to deteriorate over the years. A past injury can return as joint pain later on in life. Most commonly, the onset of joint inflammation—osteoarthritis—can occur as the years go by. It is a sad fact of life that the aging process often sends warning signals in the form of joint pain. That’s the time to consider being framed … by Frame Essentials®. The four effective ingredients in Frame Essentials were chosen to create the finest team of nutrients that combat joint pain and provide building blocks for healthy joints. Glucosamine is a vital component that the body uses to not only make cartilage but tendons, ligaments and joint (synovial) fluid as well as bone, heart valves and skin. Studies show the longer the use of supplemental glucosamine, the greater the benefits, so Frame Essentials is ideal for long-term use. Boswellia extract has been used for centuries as treatment for inflammatory conditions. Most of the research focuses on this tree resin’s triterpenoids, including the boswellic acids that reduce swelling and stiffness in the joints. Methylsulfonylmethane (MSM) is a natural sulfur compound that the body uses to form connective tissue in muscles and joints. Supplemental MSM helps to reduce inflammation and repair joints as well as provide additional antioxidant protection and immune system support. Author The AIM CompaniesPosted on February 1, 2016 February 1, 2016 Categories Frame Essentials, UncategorizedTags Bone Health, Bones, Boswellia, Glucosamine, MSMLeave a comment on Are You Being Framed? Osteoporosis International recently published an article that examined the nutritional needs of the skeleton during its bony lifetime. Using the results of over 130 studies, the researchers set out to outline ideal nutritional goals to aid the bones during their journey from the cradle to the Craftmatic adjustable chair. Specifically, calcium, vitamin D and protein are the most important nutrients for bone health during the first two decades. During this 30–40-year period, bone mass remains comparatively high in both sexes until the onset of menopause in women and the beginning of the eighth decade in men. As for younger individuals, a well-balanced diet rich in calcium, vitamin D and protein, with adequate amounts of certain other micronutrients, will fulfill the nutritional requirements of the adult skeleton. 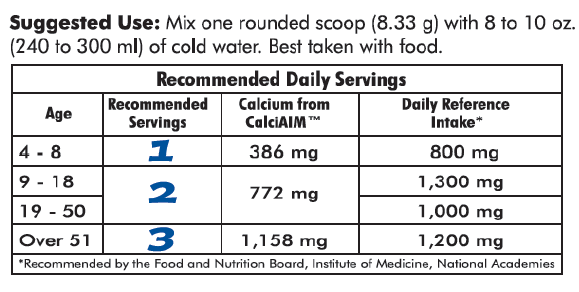 CalciAIM contains calcium lactate, calcium gluconate and calcium carbonate. •Calcium lactate is a soluble form of calcium that is bioavailable throughout the entire digestive tract. •Calcium gluconate is a highly soluble form of calcium that inhibits kidney stone formation and stimulates bifidobacteria in the intestine, which enhances the absorption of calcium. 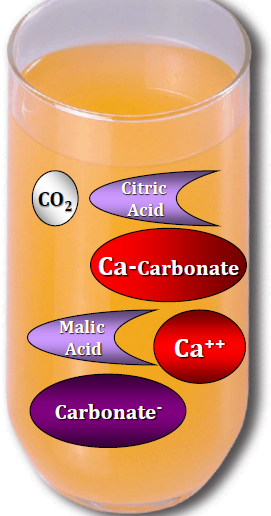 By combining calcium lactate, gluconate or carbonate with water and acids we create ionic calcium. •Potential Renal Acid Load, or PRAL. 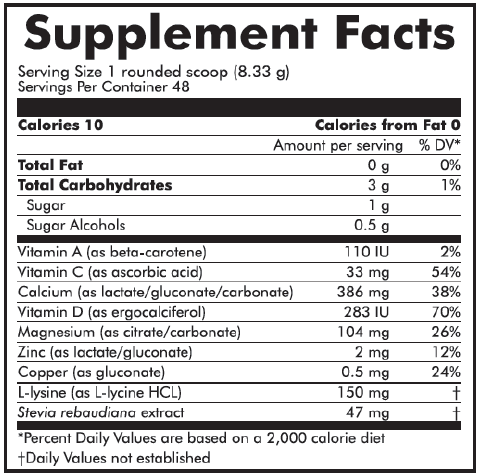 – It uses a formula to convert the protein and select minerals of a food into a PRAL value. – Acidifying foods have a positive PRAL value and alkalizing foods have a negative PRAL value. – Higher protein and phosphorous contributes to increased acid in the blood. – – – Higher potassium, magnesium and calcium result in decreased acid in the blood. 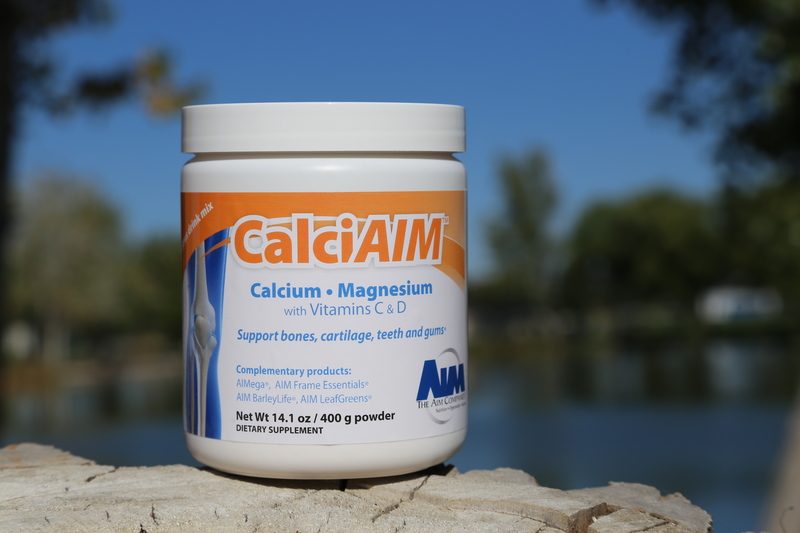 Q: Can I take other products in conjunction with CalciAIM? A: Yes. 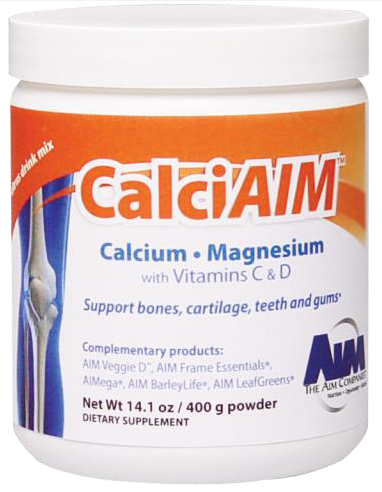 CalciAIM can be mixed with all AIM products. 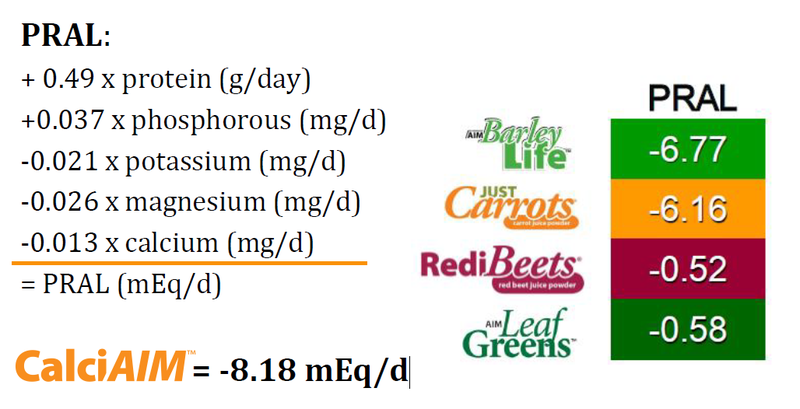 The vitamin K1 content in BarleyLife and LeafGreens complements CalciAIM and may lessen the risks associated with calcium deficiency. Combining CalciAIM with Veggie D Capsules significant about of vitamin D. CalciAIM and Peak Endurance taste great when mixed together. Although CalciAIM is mildly acidic, it can be mixed with BarleyLife because the combination of both products is less acidic than your stomach. High-fiber beverages like Herbal Fiberblend will slow the rate of calcium absorption, but both products will still provide benefits. Q: Is there anyone who should not use CalciAIM? A: This product is not recommended for those under the age of 4 and those on calcium-restricted diets based on heart disease medications. Consult a health care practitioner prior to use if pregnant, nursing, or taking medications.